* Yoga 4 All supports only devices above iOS 5 and above. What is the first thing that comes to your mind when you hear the word Yoga? Yoga is all about different postures, which helps us to focus and also relieves us from daily stress. Yoga initially originated in India and dates back to nearly 500 years. Yoga is generally described as union of a person’s own perception with the universal perception. The practice of Yoga Exercises means practicing both your body and your mind. It takes determination to complete each Yoga Pose and to exercise it daily. 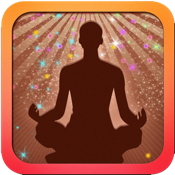 So we present to you “Yoga 4 All”, a rightful app to stay fit and healthy. Here you will different asanas that are categorized in many ways, depending on the use of the asanas, effectiveness to various physical conditions and the level of practice. Each category includes various asanas. Just browse through the categories for various poses and videos. You'll find the posture you're looking for, and might even come across other similar poses you might enjoy. Check out our Facebook Pages for more information on upcoming apps & games.